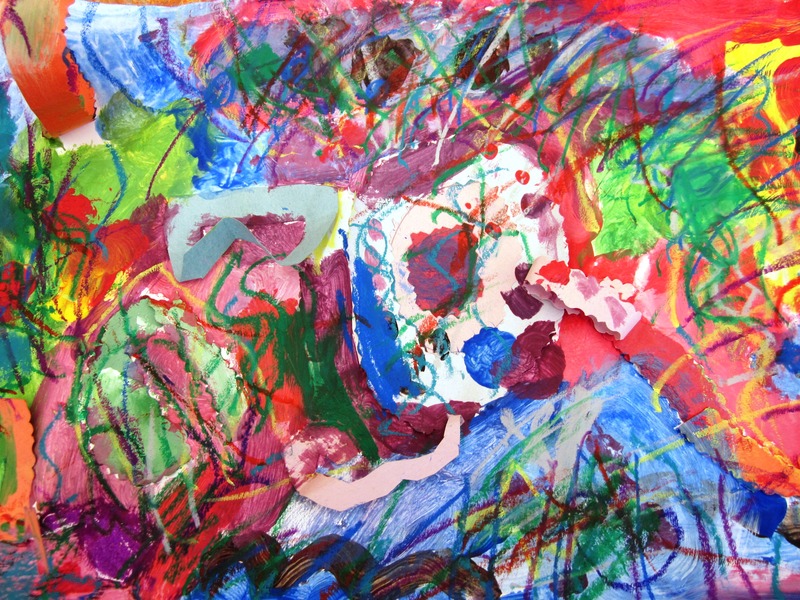 “My Mom Talking” by my son-I love it! Grade three has been learning about sound in their science class. 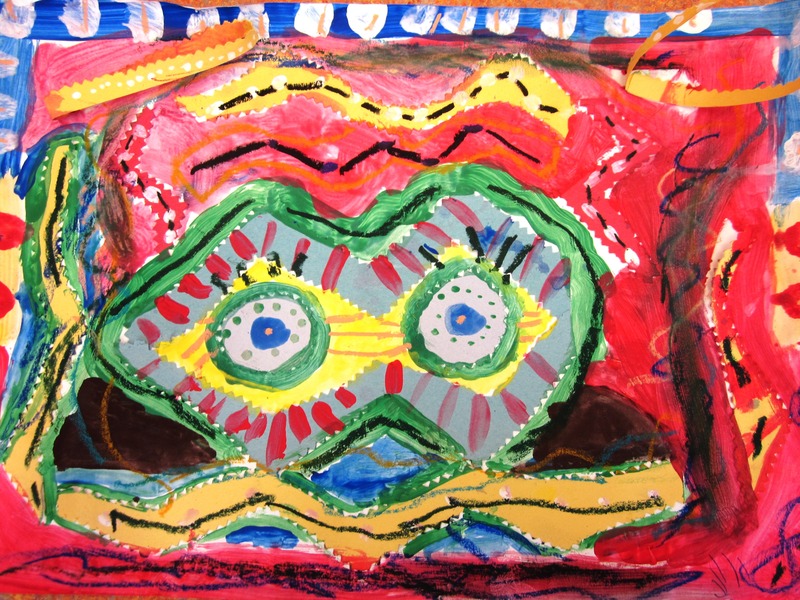 My son also happens to be in grade three so I wanted a fun lesson that would support this theme and connect to art at the same time. 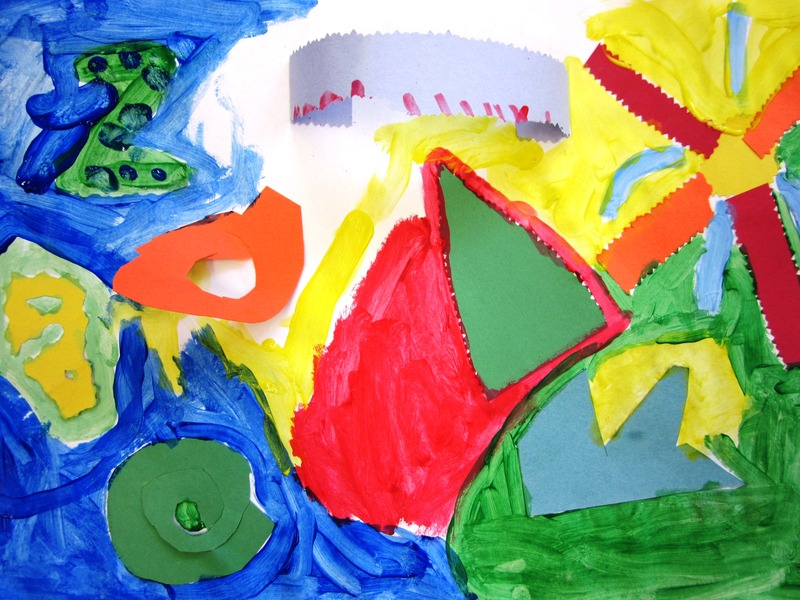 Expressionism and Kandinsky would be the perfect combination for this lesson! I started by asking the students to give me a list of sounds that popped into their minds. Car horns, music, loud voices, screams, talking, hiccups, the list was endless! I then asked them what would these sounds look like and what color and shapes would they be? 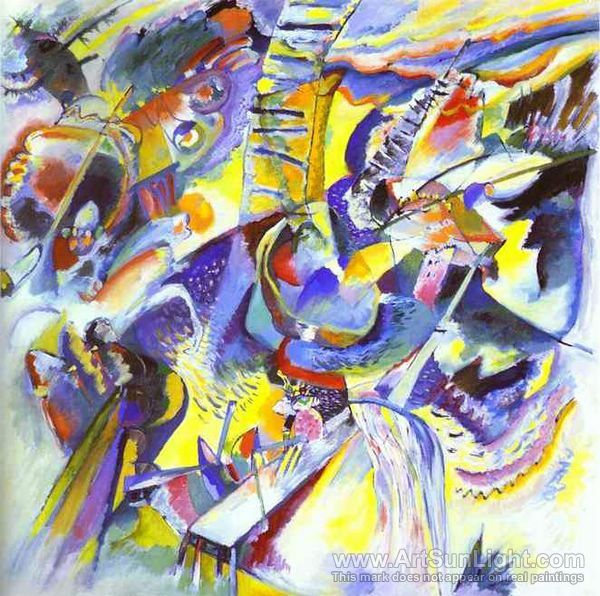 I introduced the amazing Kandinsky to the kids and we looked at his painting Klamm Improvisation. 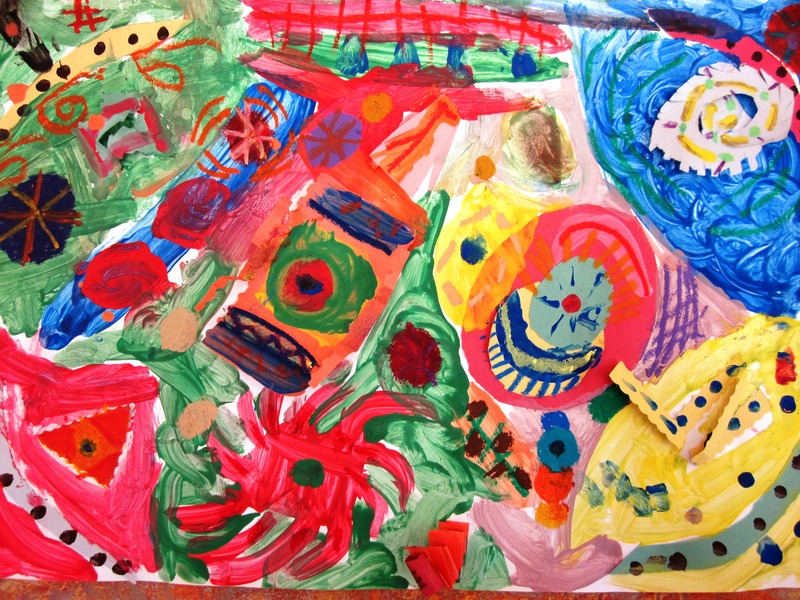 This was a great time to talk about expressionism and abstract art. 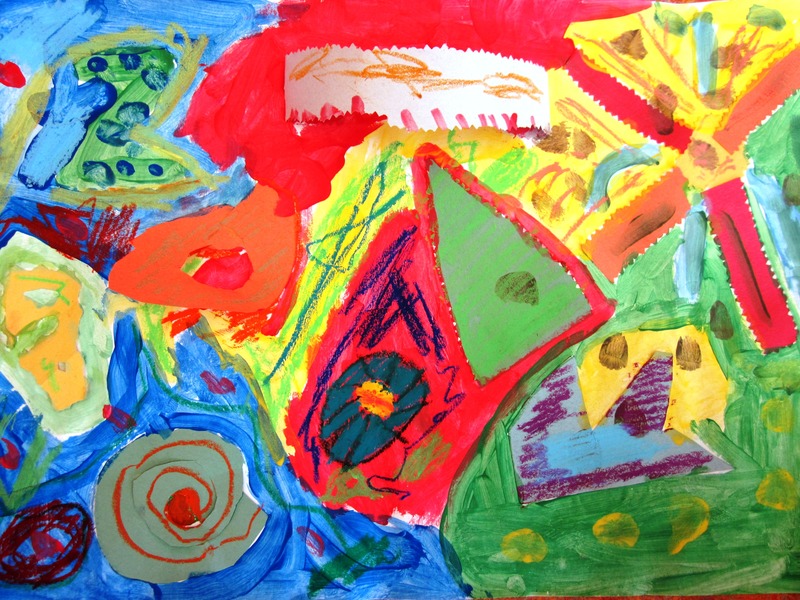 I challenged the grade three students to choose a secret sound and to think how they could show this sound using colors, shapes and paint. Everyone got a 12×18 piece of white construction paper. 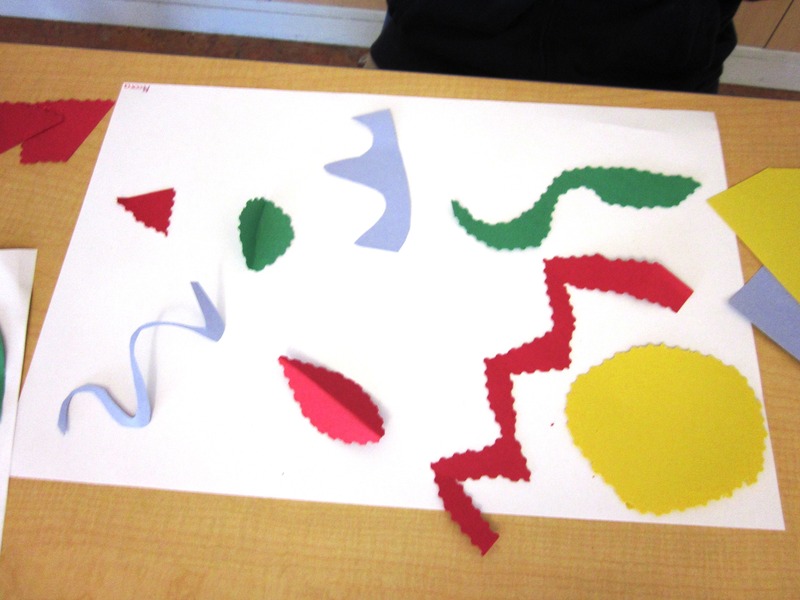 They also cut out a variety of shapes from different colored recycled paper that represented their sound. These could stick flat on the paper or pop out. I love this circle sticking up! 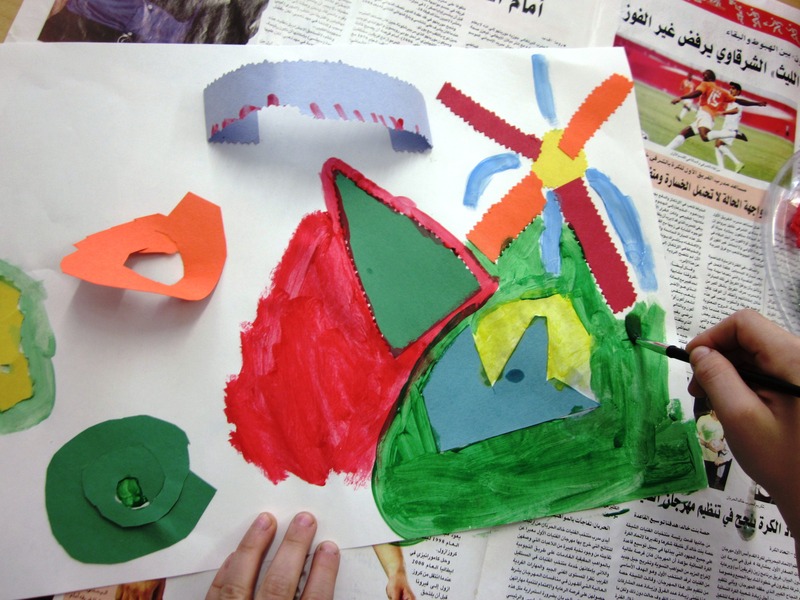 Next step was to paint more shapes and designs around and over their glued ‘sound’ shapes. 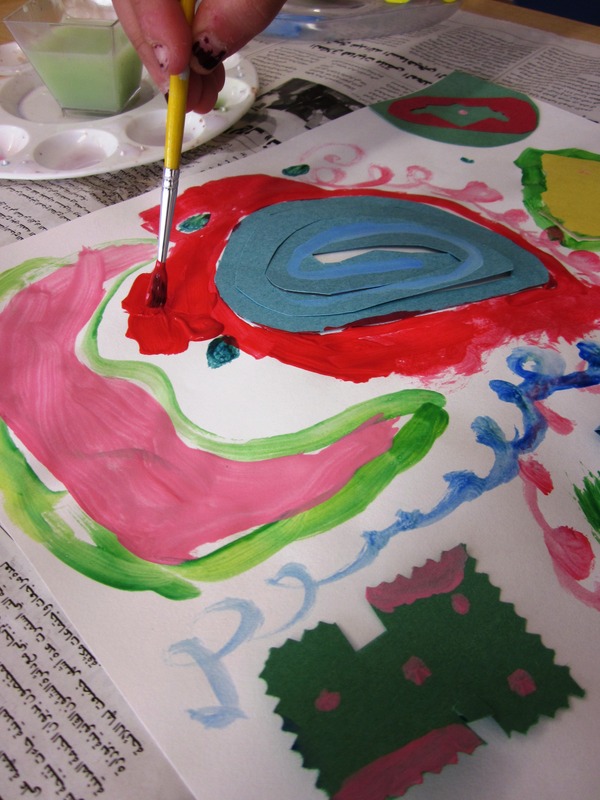 I reminded them to think and hear the sound they chose in their mind while they were painting. The final step after these were dry, was to add a few more shapes, designs and swirls, using oil pastels, that represented how the sound made them feel. The students were really into this project and were quite curious about each others sounds. 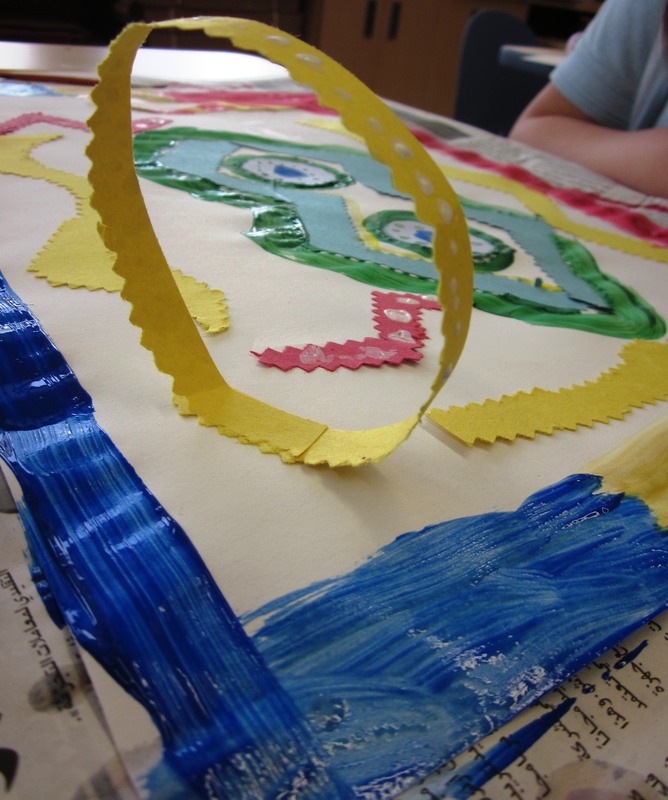 Everyone wrote on a piece of paper a title for their artwork which remained top secret till after our sharing time. At the end of the lesson, we looked at all the artwork and tried to guess the mystery sound! Oh, fantastic! You can tell they really got into the project. Beautiful results! These are wonderful!! 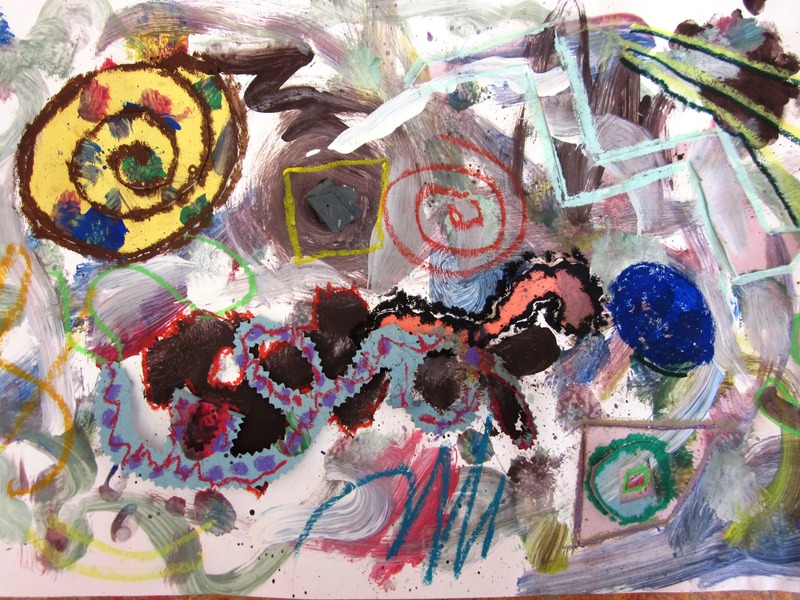 You’re right; Kandinsky would be very proud! What a great integration! The finished pieces are great. I love this lesson! I am a volunteer art docent so I only get one hour per month with the class. Do you think this would work without the last step of adding the oil pastels? We don’t have time for the drying step but I really love the creativity and idea of visualizing sound. Hi Jenn. If I remember well, this lesson took three art periods to complete. I suggest you use watercolors as these dry super fast which would allow you to add the oil pastels which make a HUGE difference. Also, instead of watercolor use colored pencils so the oil pastels stand out. Have fun!